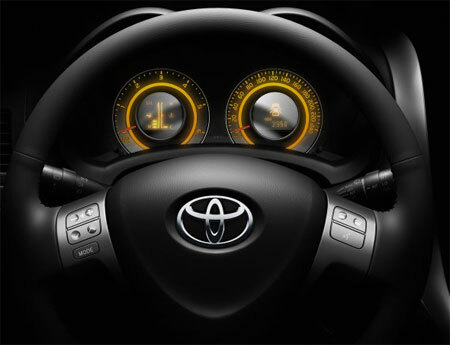 Ahead of it’s public unveiling at the 2006 Bologna Motor Show this December, Toyota has revealed it’s production model Toyota Auris, soon after the Auris Space Concept was shown at the Paris Motor Show last month. The new Toyota Auris will come in 5 variants, two gasolines – a 1.4 VVT-i, a 1.6 Dual VVT-i, as well as 3 turbodiesels – a 1.4 D4-D, a 2.0 D4-D and the top performer, a 2.2 D4-D turbodiesel. More on the new Toyota Auris after the jump. The new Toyota Auris will come in both 3-door and 5-door hatchback forms, and it will join it’s two siblings, the Yaris and Avensis in spearheading Toyota’s sales strategy towards achieving 1.2 million annual sales in Europe by 2008. The new C-segment contender was designed from inside out, which puts priority on maximising cabin space – a flat rear passenger floor and high window surfaces are important. 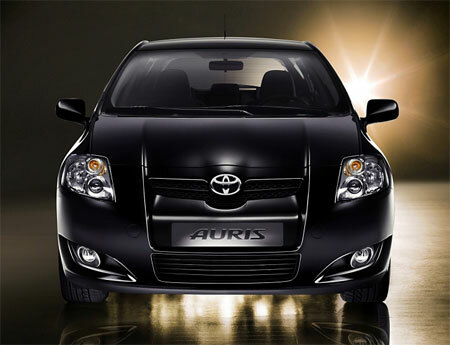 The Toyota Auris has a 2600mm wheelbase, and is 1515mm tall, 1760mm wide and 4220mm long. Engine options consist of 2 gasoline engines and 3 turbodiesels. The following table lists the specifications of all 5 engine options, including horsepower, torque, top speed and 0-100km/h acceleration. 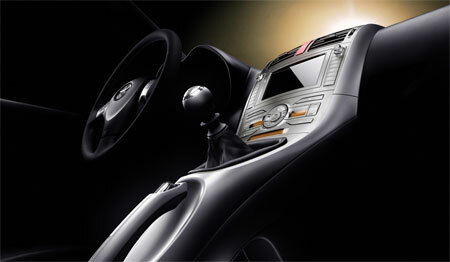 All figures are for the 5-speed manual model. The 1.6 litre Dual VVT-i and the 1.4 litre D-4D turbodiesel engine also have an option for Toyota’s MultiMode transmission, which is basically a manual transmission with a computer controlled clutch, like Honda’s i-SHIFT or Proton’s AMT. The thing is, the same 1.6 Dual VVT-i equipped with a MultiMode transmission raises 0-100km/h acceleration time from 10.4 seconds to 12.1 seconds, and the 1.4 D4-D’s time is slower (14.7 seconds versus 12.0) so I suppose the shifting speed of this transmission is not really that great, far from what Volkswagen has achieved with DSG. Honda has got some bad reviews about it’s i-SHIFT, so Toyota had better not end up with the same predicament. The new 1.8 litre Dual VVT-i which can be equipped with a Super-CVT continuously variable transmission isn’t in the line-up yet, and is probably reserved for a higher end trim yet to be released. Until that variant is out, or a more powerful 1.8 litre VVTL-i unit perhaps, the current scorcher Auris that’ll take you from 0-100km/h in 8.1 seconds and soldier on all the way up to 209km/h will be the 2.2 litre D4-D model, with very nice figures of 177hp and massive 400Nm of torque, beating Honda’s 2.2 litre i-CTDi Civic which only has 138hp and 339Nm. 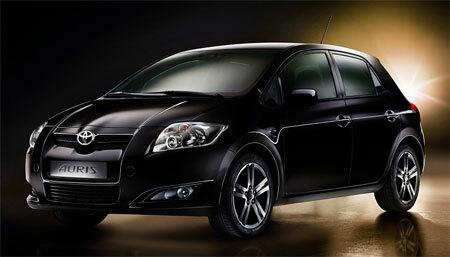 UK sales for all 5 variants of the Toyota Auris starts in February 2007. It is already on sale in Japan right now!